If you check the latest buzz in B Town, we hear Salman Khan is becoming too keen to offer a lead role to Sanjay Dutt in his upcoming movie called Sultan. Salman has requested his producer Aditya Chopra to ask Sanjay Dutt to accept one of the important roles in the movie, wherein he will be seen in a mentor’s role of Salam. Sanjay on the contrary is service his sentence in Yerwada jail and will be finally out in February 2016. As per the Bajrangi Bhaijaan actor, it would be a great fun while working with Sanjay Dutt especially in shooting. Sanjay Dutt wants to join the bandwagon of his work the moment he finishes his sentence at the Jail. Hence the talks are being arranged with the actor behind the bar and the producer Aditya Chopra, which also sort out the legal hassles coming in the way of shooting or will it be a delay in shooting since he is still behind the bars and would need another four months to walk free. 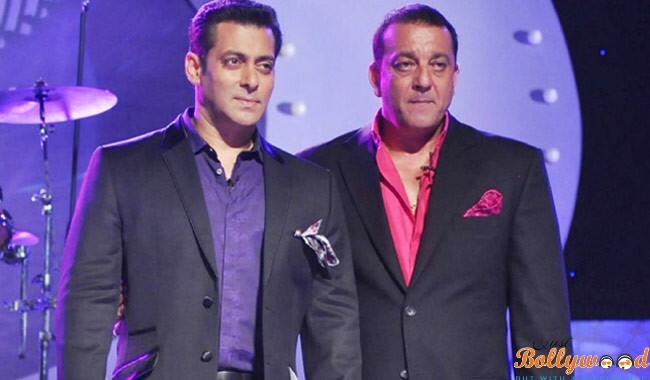 Salman and Sanjay Dutt had worked together in a couple of movies including Saajan and Chal Mere Bhai and are keen to work again apart from being hosting the Bigg Boss 5 show in the year 2011. The film is directed by Ali Abbas Zafar, which is scheduled to release next Eid 2016.